SLGC’s very own Isa Ranganathan kindly gave a 3 hour workshop to our Provisionals on Saturday, February 16th, in her lovely home. Starting with the history of Ikebana as a meditative practice and offering, Isa provided handouts and demonstrated the Ikebana guidelines by creating the beautiful arrangement below. Due to its sacred nature, Ikebana is not a judged category but there are exhibitions. You can see Isa tap into her Ikebana knowledge often in the Cleveland Art Museum’s lobby display where she Chairs the program and periodically personally creates arrangements. 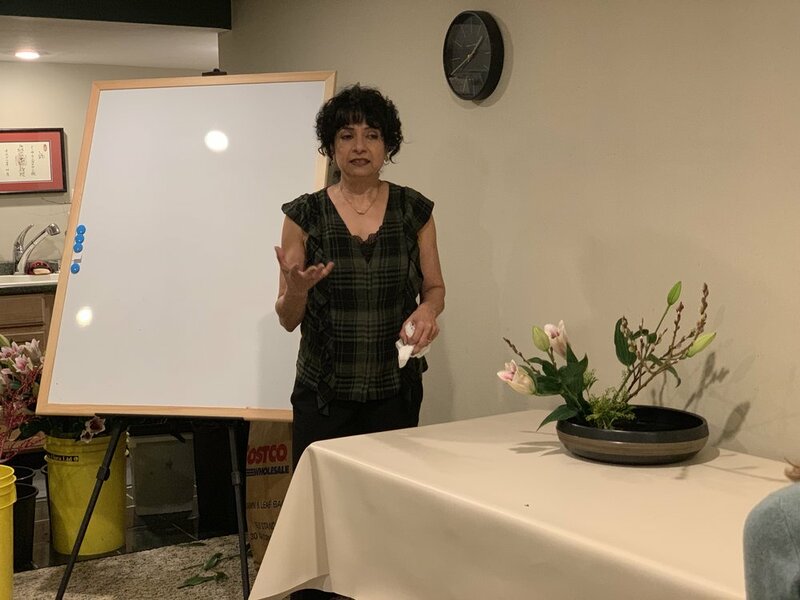 Our Provisionals confidently practiced an arrangement and Isa kindly reviewed and adjusted each to help illuminate how to even better execute the Ikebana principles to further elevate our efforts.